A research among 1,000 Irish adults conducted by Red C on behalf of Allianz Ireland this November found out that 1 out of 3 drivers are likely to drive more often than usual during Christmas time. Whether for buying presents, visiting friends and family or returning home from the city, the research also found out that 84% of the people interviewed don’t get the car serviced before the Christmas period. 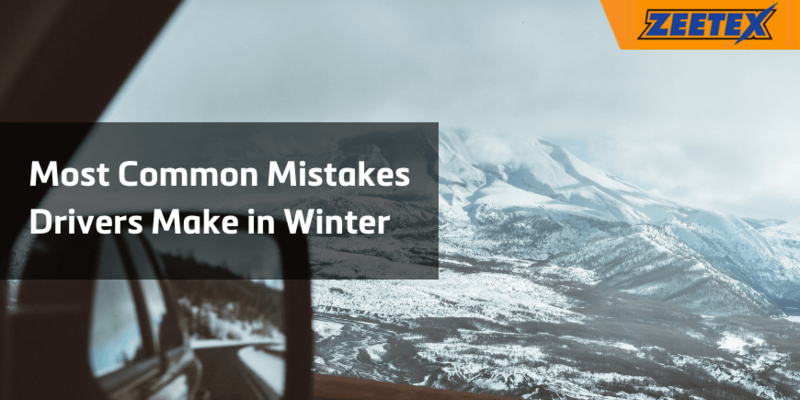 Car maintenance before and during winter season plays an important role in our safety and safety of others on the road, like we explain in last month’s blog post. However, there is another aspect of driving safely home this Christmas that needs to be carefully considered, especially this year: drink driving. Alcohol accounts for about 40% of fatal car accidents in the pre-Christmas period. 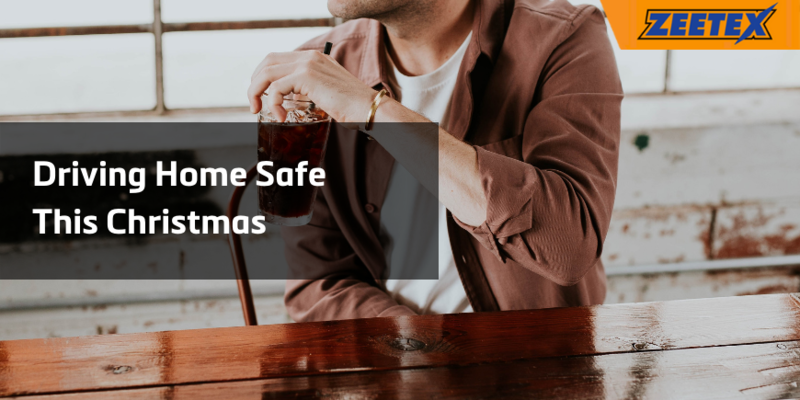 Considering over 82% of the interviewed are planning on consuming alcohol over the festive season, it’s critical that everybody is aware about the new legislation. The Summer of 2018 saw some updated regulations concerning drink driving. While the actual limits stay the same, which means there is a blood alcohol level tolerance for up to 50mg for experienced drivers and 20mg for learners and professional drivers, what changes is the penalty. Being found over the limit leads to an automatic three-month ban. The concept of being over-the-limit varies from adult to adult but a glass of beer, a small glass of wine or a pub measure of spirits can put you at risk. In 2017 the suspicion of drink driving led to the arrest of over 1,000 drivers. Whatever your plans are this Christmas make sure you don’t get behind the wheel after drinking even a small amount of alcohol. If you live in the city there are plenty of options available for returning home safe including taxis, extended times for the LUAS and Nightlink buses. If you live in the country, make sure you get a taxi or have one of your friends or partner as a designated driver. Author adminPosted on November 16, 2018 Categories MediaLeave a comment on Why is Balancing Winter Tyres Important? Winter vs All-Season: Which Tyres to Choose? It must be stressed that winter tyres guarantee high road holding on all types of surfaces, even in poor grip conditions. At the same time, winter tyres provide excellent traction and safe braking, as well as excellent ride comfort. 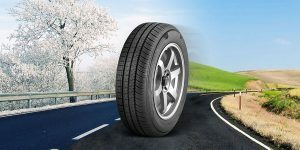 All this depends on the type of softer compound used to produce these tyres that perform well even when the temperature drops below freezing or when the surface is frozen: the chemical characteristics of winter tyres reduce considerably the braking distance in wet conditions (up to 15%) and in the presence of snow (up to 50%). Also contributing it’is the special tread pattern whose slats collect and retain the snow, improving adhesion to the road surface (the classic “snow friction on snow” effect). Furthermore, the large recesses allow a quick disposal of the water in case of rain, considerably reducing the risk of aquaplaning. Replacing the tyres twice a year can sometimes be inconvenient (especially for those who use the car for work) and involves a disassembling / assembling operation (not to mention that many have the problem of where to keep unused tyres). 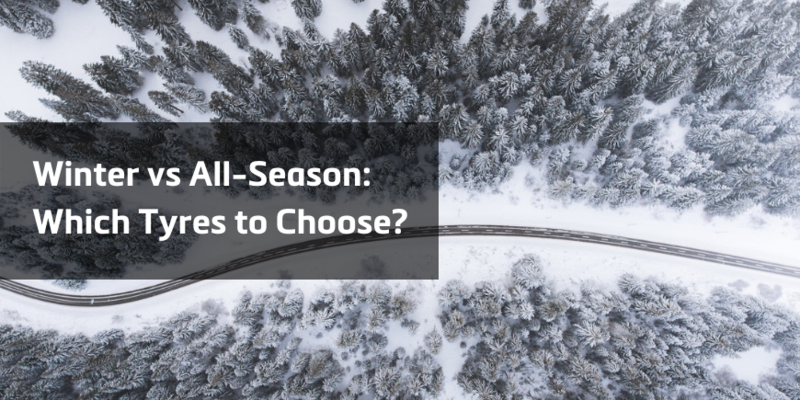 This is why more and more people are choosing the right wheels for every season. In fact, the all-season tyres have a good performance both at high and low temperatures, both on wet and dry. 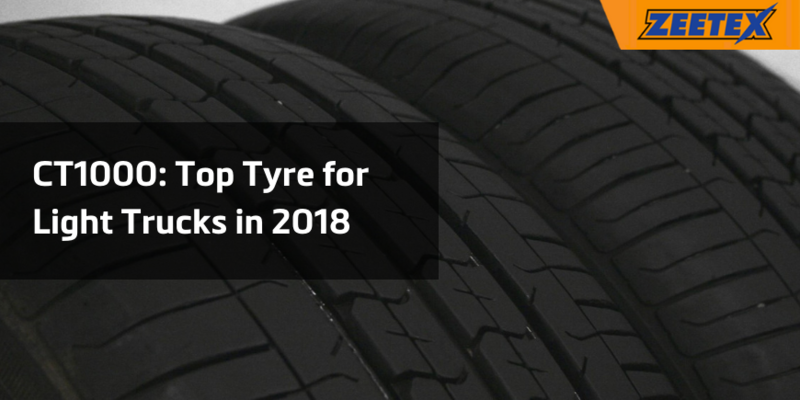 However, these tyres – which often cost more than summer or winter – can hardly equal the guaranteed level of summer tyres in summer or winter in winter. Whatever the choice between specific tyres for a season or tyres suitable all year round, it should never be forgotten that to ensure maximum performance in terms of safety, performance and consumption, the tyre must be in good condition. It is therefore essential to carry out a correct maintenance checking periodically the correct pressure and the conditions of the tread. Author adminPosted on November 1, 2018 Categories MediaLeave a comment on Winter vs All-Season: Which Tyres to Choose? Zeetex and its CT1000 tires have increased their demand during the first quarters of 2018. These tyres, specifically designed for light trucks, brought the design and engineering of tyres for this automotive segment a step further. In spite of the excellent results harvested since 2012, the growth of the tyre sector in Europe slowed down in 2017. One of the manufacturers that has shown the best performance during the first half of this year is Zeetex , international tyre supplier, whose CT1000 tyre is one of the flagship products in the segment of vans and light trucks. Since its launch in 2014, the CT1000 has positioned itself as one of the models that provides greater stability to driving, with superior grip in wet and dry conditions, great comfort and adequate control on all surfaces. Naturally, it has all the requirements for vehicles operating in Europe, as well as complying with the different security requirements established in the EU framework. The Zeetex CT1000 tyres feature an efficient tread design, developed to withstand a heavy load, guarantee mileage and prevent threats from certain surfaces, such as aquaplaning in the case of wet conditions. Thanks to its homogeneous pattern, it offers additional resistance to the problem of uneven wear. The rubber mixture used in this model guarantees a gradual and uniform wear. The greater width of the contact surface of Zeetex CT1000 results in good behavior on all surfaces. Due to its high performance, this tyre meets the quality standards that are a trademark for all Zeetex tyres: safety, comfort, low fuel consumption and value for money. Likewise, Zeetex professionals are also committed to environmental sustainability. CT1000 and other Zeetex tyres guarantee an efficient consumption, highly respectful of the environment. The tyre sector is confident of maintaining its growth momentum in the coming years, although only one thing is certain: CT1000 tyres will be among the most efficient options for light trucks. Optimum storage is an integral part of the ” handling ” of a tyre , in particular seasonal tyres that do not end their life cycle after a single use ; to prevent the cover from being damaged, particularly during the months of inactivity, it is essential to keep it properly, taking all the necessary precautions so that the rubber is preserved in the best possible conditions, and is ready to be used again at the change of season . Keeping the tyres in a proper way will allow you to have tyres that are perfectly efficient and performing when the time comes to use them again. 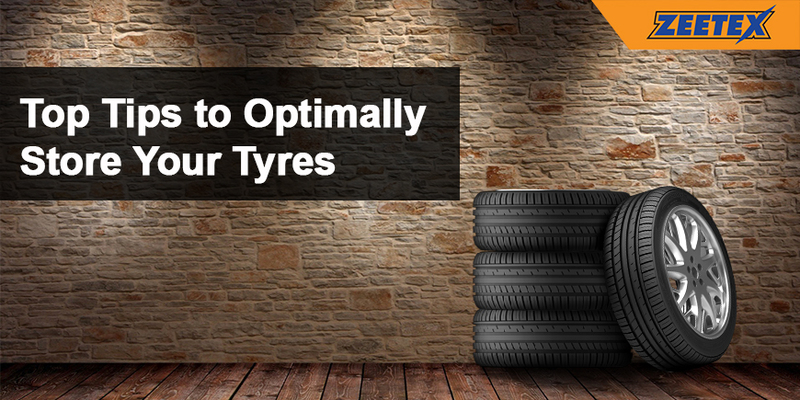 The correct storage of the tyres requires care and attention : let’s have a loot at some precautions and suggestions on how to keep the tyres at their best. A non-optimal tyre can deteriorate in various ways; the most frequent problem that can be found in the tyres stored without proper precautions is the flattening of a section, which is caused by the weight of the tyre itself; it occurs when the tyre is stored vertically and left for many weeks in that position. The consequence is that the tyre will no longer be perfectly circular and once mounted in the car will give rise to vibrations that negatively affect the mechanical part of the car, as well as obviously cause driving problems, especially as far as safety is concerned. It is a problem that occurs more frequently in winter , since the low temperatures make the tyres less flexible and once deformed under their own weight they will no longer recover their original shape. The effects of a such an issue should not be underestimated at all: an example of what can happen can be observed in Formula 1, when drivers have to deal with strong vibrations forcing them to return to the pits to replace the damaged tyre. The same phenomenon can occur in winter when you leave the car parked outdoors for the whole night : the next morning you may experience vibrations , which if all goes well, disappear after a few kilometers as soon as the tyres heat up . If it takes only a few hours to deform a tyre, it is easy to understand what might happen by leaving the tyres in an incorrect position for weeks or months: the flattening, most likely, will not vanish after a few kilometers. In addition to flattening, the tread may be deformed , with a more or less accentuated reduction in the depth of the grooves in the section on which the weight of the wheel weighed; although less serious , this problem can in any case result in a decrease in the grip of the tyre, since the part subject to crushing will appear smooth or almost and will ensure less grip. In this case too, the replacement of the tyres is an almost obligatory path to follow, with the result of losing a set of tyres that otherwise would still be in good conditions and capable of guaranteeing a consistent number of kilometers. First of all, carefully clean the tyres before storing them: the presence of dirt – such as brake dust or other particles on the tread – could damage the molecular compound of the rubber during long-term storage and possibly ruin it . That is why, before storing the set of tyres at the change of season, it is necessary to get water , soap and brush and carefully clean it, which will include the tread notches, then drying everything with the same care. In addition, it is possible to use industrial talc , sprinkling it on the tyres, in order to improve its state of conservation. The second trick is to inflate the tyres at the correct pressure – ie the one indicated by the manufacturer – and this operation must be carried out before storing them and repeated during the period of inactivity if the pressure should decrease (a phenomenon that occurs more frequently in winter , due to low temperatures). A different thinking concerns inflation at a pressure of more than 0.5 bar , just to avoid the decrease during the storage period and that “would raise” from a too frequent control of this parameter, however the tyre manufacturers recommend the first solution and therefore for a correct maintenance of the tyre it is better to follow the indications from the tyre maker. Attention must also be paid to the storage location , avoiding the tyres to be exposed to direct sunlight, which could be harmful to the tyres in the long run. For the same reason, as for many other products, even the covers should be placed in dry environments where the temperature is constant and between 10 ° and 25 ° C, therefore without high temperature variations. The heat and cold tend to widen and restrict certain materials, including the tyre compound, respectively, and it is certainly not healthy for the tyres to spend long weeks or months under temperatures that widen and continually restrict the compound of the tyre. It should not be underestimated, then, that the tyres can be very sensitive to temperature variations and therefore even more so in the storage environment there must not be thermal changes. A proper storage allows you to find again at the next change of season perfectly efficient tyres and above all helps to prolong their life , allowing them to be used until the end of their life cycle without altering their main features. It is almost superfluous to remember it, but the tyres must be kept at a safe distance from hydrocarbons , solvents and chemical substances, as well as sharp or pointed objects that could accidentally damage the tyre. Equal caution is needed to place the covers away from materials that can generate electric shocks or sparks , incandescent bodies , heat sources and ozone sources (as are, for example, electric motors and transformers). September is the beginning of the end for the summer. Temperatures gradually decrease, the days get shorter and shorter, schools are back and people in general are back from their summer holidays. This is also the time to start thinking about what tyre option is best for the season. When it comes to choosing, the debate is generally between Winter and All-Season tyres. Instead of picking one option over the other, we want to give you an overview of the differences between the two types of tyres as described by popular car blogs and websites. winter tyres are not only useful when its snowy and icy out, they’re also useful, in deed almost indispensable, when the weather turns merely chilly. For most tyres, the ones we call slightly incorrectly ‘Summer’ tyres, their peak operating temperature is above 7-deg celsius ambient. Now, while we’re hardly northern Canada, there are an awful lot of weeks when the air temperature here in Ireland drops below 7-degrees and stays there. Verdict: There is a simpler solution however, and it’s the development of all-season tyres, which has come on in leaps and bounds in the past few years. All-season tyres represent a middle ground between summer and winter products. As such, while they are not as effective in the winter (compared to tyres designed purely for this season), they are better than winter products in the summer – but, of course, they are not as good as summer products. 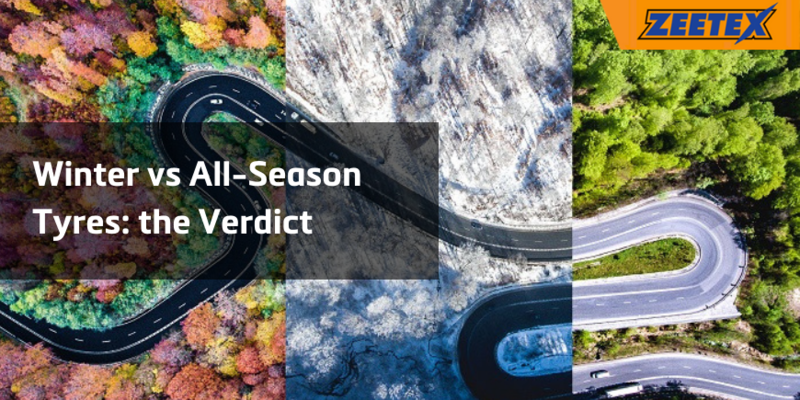 Verdict: Ultimately, when it comes to choosing all season or winter tyre products, the main benefit of all-season products is to save money by using one set of tyres, rather than 2. 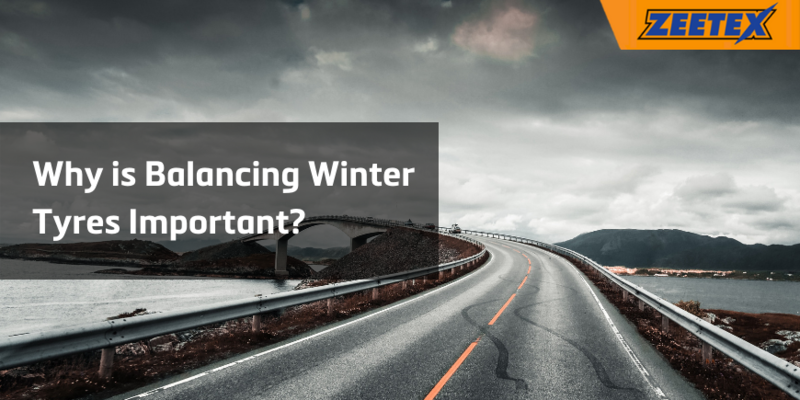 There is always a trade-off in performance between winter tyres and summer tyres in the different seasons with regard to tyre handling, braking & traction in dry, wet and snow conditions. This means the all weather tyres are unlikely to be as good as the best specialist tyre in the respective seasons but can be expected to work better on wintry roads than a summer tyre, and better on a summer road than a winter tyre. Verdict: All-season tyres are easy to drive thanks to stable cornering and strong traction in both wet and dry conditions. On wet roads, the specially designed blocks ensure smooth water evacuation, reducing the risk of hydroplaning. Modern all-season tyres are competent generalists that offer good functionality within a very broad temperature range. They are often provided by vehicle manufacturers as original equipment and also quite popular on the replacement market. Verdict: The compromise may seem less attractive to performance-focused drivers, but many motorists find the convenience and practicality of all-season tyres quite seductive. When it comes to All-Season tyres, it’s difficult to beat Zeetex ZT4000 4S and their uni-directional tread design with wider grooves ensuring quicker water evacuation and helps in overcoming aquaplaning. Also their larger & curved tread blocks on outer shoulder ensures better cornering. 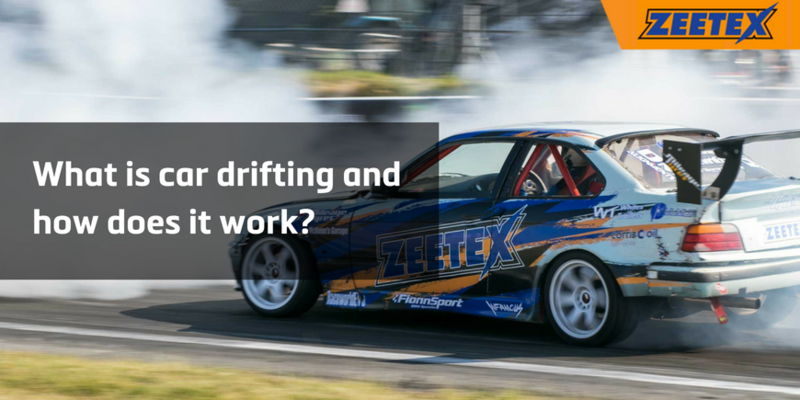 What is Drifting and How Does it Work? What is drifting? Drifting is a type of car driving technique where the driver oversteers on purpose so that the rear tyres lose grip on the road. Technically, when the rear slip angle of the car is greater than the front one, the car is said to be drifting. In order to better understand drifting, let’s first look at how you maneuver a turn. Whether you want your car to turn right or left, you simply rotate the steering wheel in the desired direction. This causes a friction between the tyres and the ground. The mechanics are a bit different when you are drifting because you want to handle the traction that you lose in the rear wheels. You will want to lose some traction but not all of it as this would mean losing control of the car. The traction of the rear wheel is controlled by the wheel speed. The basic principle is that when you drift you make a so fast that the rear tyres lose their grip on the road. They over-rotate in the direction of the turn and go into a spin. To make up for the over-rotation, in order to drift a car you want to turn the front tyres in the opposite direction . That’s it. The explanation of drifting might seem easy but drifting itself is not easy at all. If the maneuver is not controlled the might go into an uncontrolled spin, which could lead to serious accidents. Zeetex tyres can assure the durability, performance and control that professional drifters need in order to compete. Zeetex tyres tend to last longer (= more laps) than other tyres of the same range, as confirmed by Pro-AM Drifter Paul Kennedy. Zeetex has been sponsoring Paul for several years now. He is competing in the Irish Drifting Championship 2018. Since April 2018 we have been following Paul in each round of the championship. In Round 4 Paul qualified in 9th position with a very good performance. Author adminPosted on August 23, 2018 August 27, 2018 Categories MediaLeave a comment on What is Drifting and How Does it Work? August is a busy month in Ireland and most of the countries. Many people decide to take their holidays during this month and the airports, train stations and motorways get busier than usual. In some countries it’s also the last month of warm temperatures and mild weather. Needless to say, it’s the month before students go back to school. In Ireland this month of August is also marked by the visit of Pope Francis on August 25th for the World Meeting of Families. 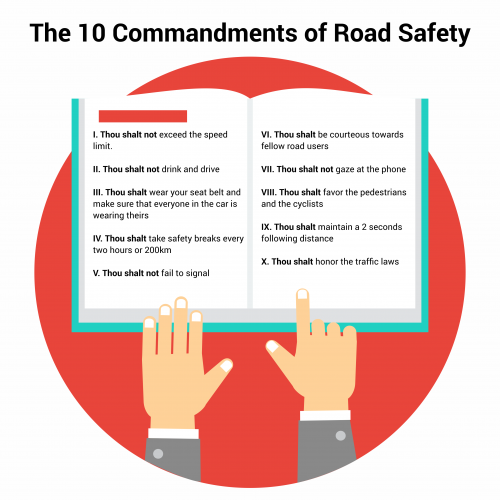 In preparation for the visit, Mayo County Council have published a document in the spirit of the visit with the 10 Commandments of Road Safety. Before getting into the actual commandments, let’s find out a bit more about this event. Pope Francis was elected in 2013 as the 266th Pope of the Roman Catholic Church. His given name is Jorge Mario Bergoglio and he is based in Vatican City. He’s 81 and he is the first South American and Jesuit to become pope Since his election, he has enjoyed high popularity ratings worldwide due to his humble style, common touch and emphasis on compassion and social justice. When is the Pope coming to Ireland? Pope Francis will touch down at Dublin Airport at 10:30am on Saturday, August 25th. He is coming to Ireland to celebrate the World Meeting of Families. It’s a Catholic church celebration of the role of the family, held in cities around the world every three years. Around 70,000 people are expected at a two-hour Croke Park concert, which has a star-studded line-up including Italian tenor Andrea Bocelli, Daniel O’Donnell, Nathan Carter, Paddy Moloney, Riverdance, Dana Masters, Celine Byrne, Moya Brennan, The Begley Family and The Priests. Is there going to be any transport disruption in Dublin? Yes, there is going to be a security ring around the city on Sunday. The “controlled access zone” will operate inside the M50 from 6am to 11pm and will involve diversions, road closures and other restrictions city-wide. 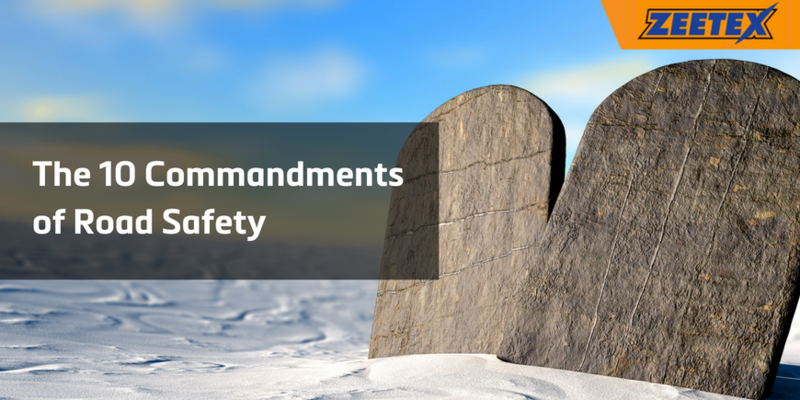 What are the suggested 10 Commandments of Road Safety? After following Irish Pro AM drifter Paul Kennedy in the first three rounds of the Irish Drifting Championship respectively in Mondello Park, Dun Laoghaire and then Mondello Park again, we are now ready for Round 4, which will take place at Punchestown Racecourse in Co Kildare on August 11-12. The Irish Drift Championship is back to Punchestown for the 2018 Irish Motor Festival. 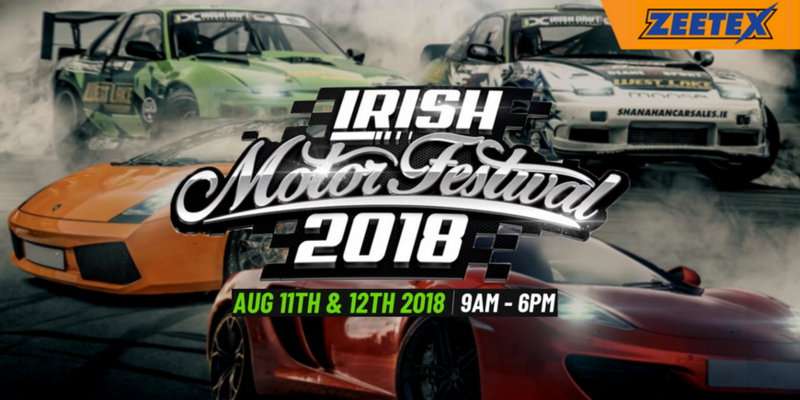 A nationwide celebration of motoring passion in all its forms, the 2018 Irish Motor Festival offers a unique and engaging motoring experience for drivers, dealers, families and fans. Encompassing all aspects of car culture, this event showcases the best automotive variety Ireland has to offer. Celebrating all things motoring, the festival brings exotic cars, modified cars and classic cars together under one roof, alongside the thrill of the Irish Drift Championship! Not only that, there’ll be plenty of trade and food stalls to make your way around, as well as drift car passenger rides, live entertainment and lots more for the whole family to enjoy. The Irish Drift Championship will return to a custom-circuit that many believed was lost to the history books and will attempt to once again steal the show. Pro AM drifters will start on Saturday, August 11 with the Pro AM practice at 9 am, followed by the Pro AM qualifying at 12 pm. Pro am practice will start back at 2 pm followed by the Pro AM Top 32 at 3 pm and the podium ceremony at 6 pm. Zeetex is proud sponsor of Pro AM drifter Paul Kennedy.